Dhiman Ghosh was born 23 November 1987 in Dinajpur, Bangladesh. He is a First class and List A cricketer from Bangladesh. He has played first cricket for Chittagong Division, making his debut in 2004/05, and represented Bangladesh through the age group levels. He played for Bangladesh A in 2003/04 and 2004/05 and appeared in Under 19 'Tests' and ODIs in 2004. He is a right-hand batsman and off-break bowler, he has scored 2 first class hundreds with knocks of 115 against Khulna Division and an even unbeaten hundred against Rajshahi Division. His best spell of bowling, 3 for 7, came against Barisal Division. Dhiman is also a talented young wicketkeeper-batsman who made his first-class debut for Chittagong Division in 2004-05. Prior to that, a string of good performances in the age groups earned him a spot in the Bangladesh. Find Dhiman Ghosh profile and stats of batting, bowling and fielding including latest updated news of Dhiman Ghosh, videos and images at Hamariweb.com. 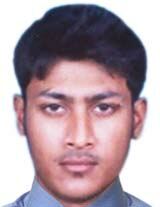 Also find detail Player profile and career statistics of Dhiman Ghosh of Bangladesh. Dhiman Ghosh - Find Dhiman Ghosh of Bangladesh Cricket Team complete player profile, number of matches, runs score, wickets & catches, Statistics, Records, Dhiman Ghosh Latest News, Dhiman Ghosh Videos, Dhiman Ghosh Photos, and other Dhiman Ghosh Cricket Team players.